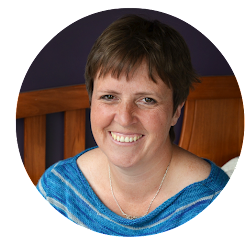 Hello hello and if you are new to these parts my name is Juliet and welcome to my little blog. Today I have the honour of kicking off the first leg of The Scrap Bag Swap 2014 Blog Hop. There is a great line-up of people contributing to the Blog Hop, so don't forget to follow along and join in all the fun (I'll include a list of them at the bottom of this post and will try to remember to link to them from my Tartankiwi facebook page each day). 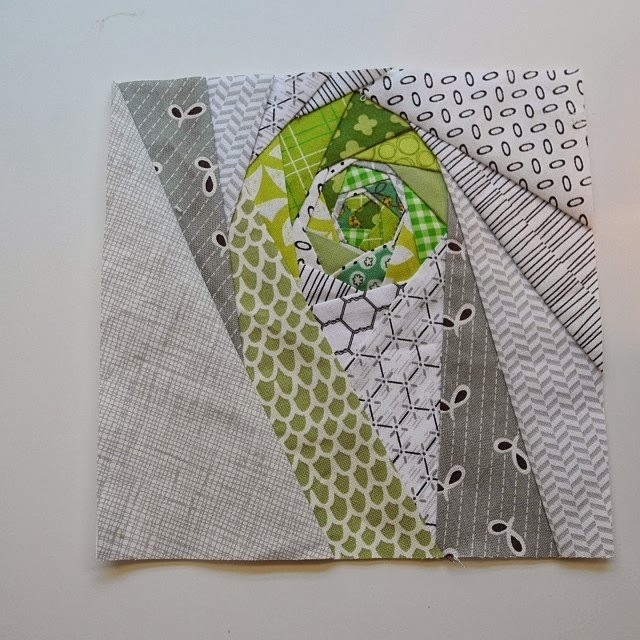 When Nin asked me to join in, I was initially unsure what I would post, you see these days I tend to use most of my scraps in my paper pieced quilt designs. Then I looked at the Koru pattern that I had just got back from two of my pattern testers. The pattern is a simple one which consists of two fabric colours, but both of my pattern testers had independently come up with a similar interpretation of it- a scrappy block. They both did a great job interpreting the block, don't you think?!? They gave some added interest to a block which could easily look a bit boring and bland. It got me thinking- fabric choice plays a major role in the interpretation of a paper pieced block and I thought I'd tell you a wee bit about paper piecing and how I choose my fabrics. Paper piecing is a technique where you sew fabric directly onto a paper pattern. 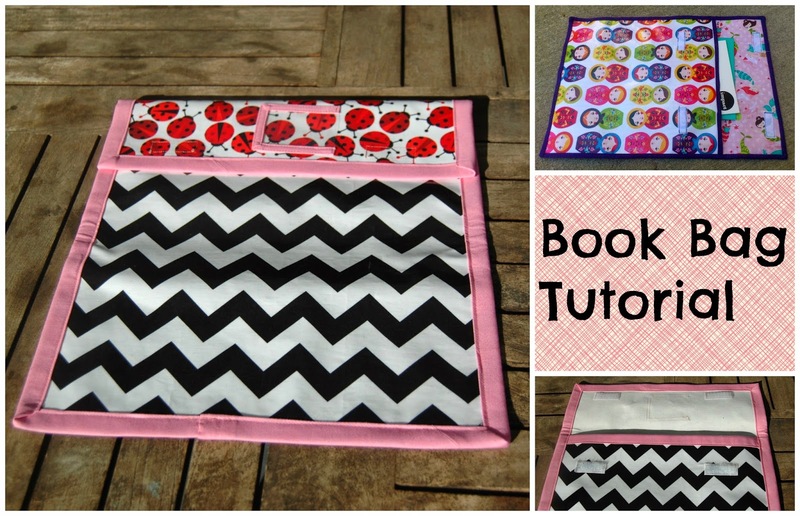 It allows you to work with tiny pieces and to sew awkward shaped pieces that would otherwise be virtually impossible. Once all the pieces are sewn, you peel the paper away and then *hey presto! * you (hopefully) have an amazing piece of sewing in front of you! 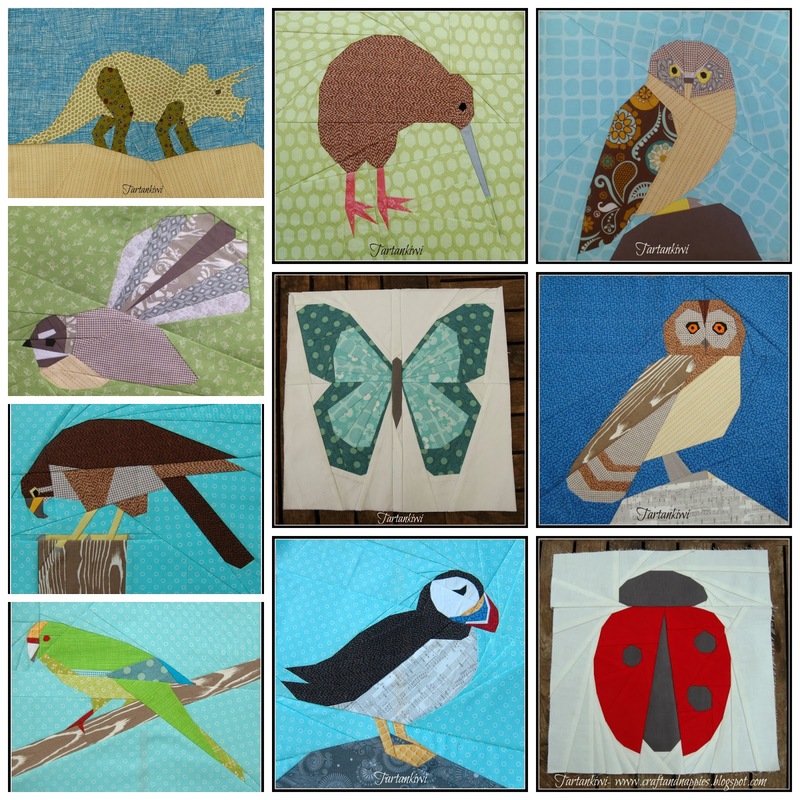 I use paper piecing to create pictures with fabric- birds, dinosaurs, flowers, the list goes on... I love the license that paper piecing gives me to create detail. You can also use paper piecing to create more traditional blocks, however it is not this kind of block that I am talking about today. I have to admit that my fabric stash has changed significantly since I started paper piecing. I used to buy a lot of novelty prints, these days I buy fabrics that give my designs texture. Other people become excited about the main fabrics in fabric ranges, I go giddy about the blender fabrics. 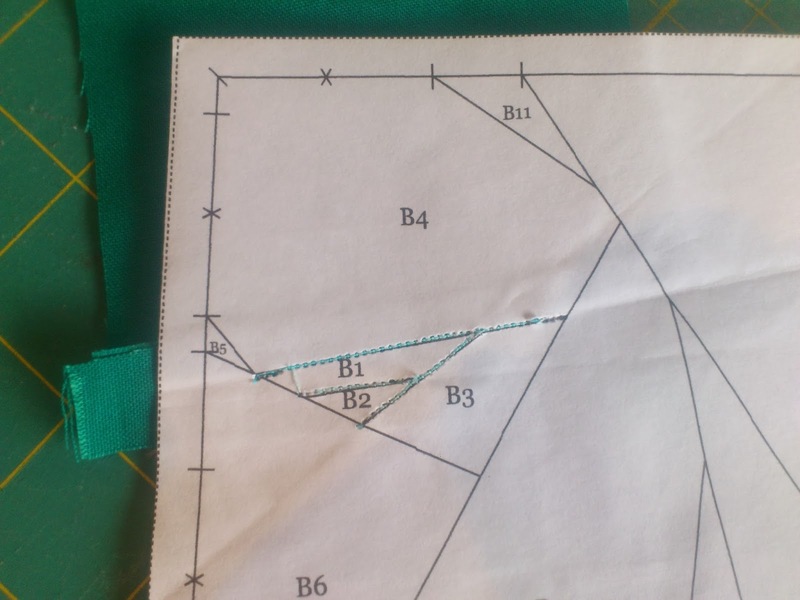 There are a few things that I look for in paper piecing fabrics. As I'm lazy and like to make life easy for myself, I generally try to avoid using directional prints in the background of my blocks. This way, I don't need to worry about how I position the fabric. Don't get me wrong, directional prints and stripes can look amazing but I use them with care and often in moderation. In most of my blocks, its all about the background colour of the fabric. If I am going to the trouble of making a picture in fabric, then I need the pieces to be visible. Low contrast has its place, but not when it is obscuring valuable outlines or details. 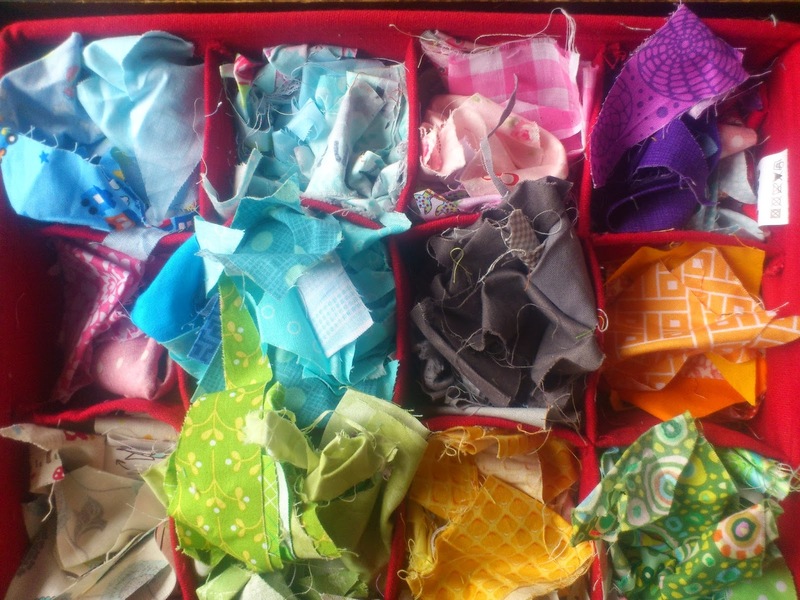 Some of my favourite paper piecing fabrics- no solids included here! Tone on tone fabrics are great. When many people think of tone on tone, they often think of batik fabrics or old fashioned dull fabrics. This doesn't have to be the case. There are some great modern tone on tone fabrics out there just crying out to be used! And to be fair, cut small enough even the most ugly old fashioned fabric can work just fine! 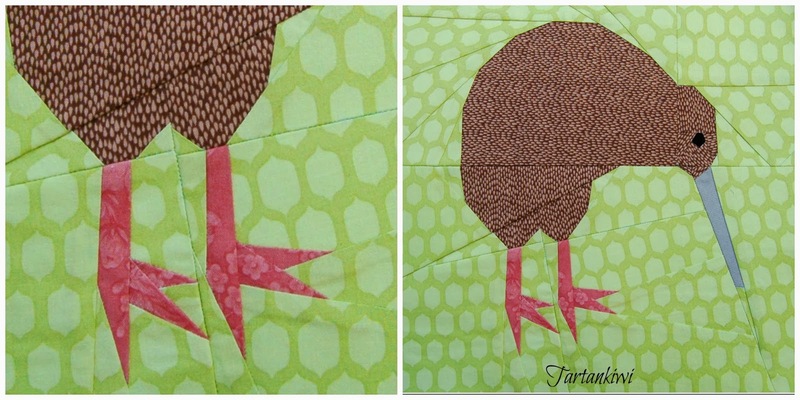 The Fabric used for the Kiwi's feet- Hideous, but you can't really tell when its all cut up small and in situ! Depending on the block, I generally don't want the fabrics to have large areas of other colours in them, as these are likely to detract from the detail that I am sewing into the block. That said, this really depends on the piece that I am sewing and the effect that I want to create. You can't beat a cute bit of fussy cutting here and there! Small scale prints are great as are dots, there is a reason that these often turn up in my paper piecing- they are easy to use and look effective. I love it when the fabrics have the kind of patterns and textures that mirror real life- feathers on birds, scales on dinosaurs- any time that I see these kinds of fabrics I am likely to buy them even if I don't have a suitable project in mind. Its all about the texture! I think my definition of a scrap is far smaller than many other people. I will save really tiny pieces because I never know when they will come in useful- a bird's beak; an eye; a pair of webbed feet or even a bit of shadowing or detailing on a design. I store these pieces by colour and delve in whenever I need to. People are often intimidated when they see paper piecing they say things like "I could NEVER do that". My answer to this is that if you can count and sew a straight line you can paper piece, although you do need to get to grips with the logic of the process. Its easier than you think- honest! If I can do it, you can too!!! 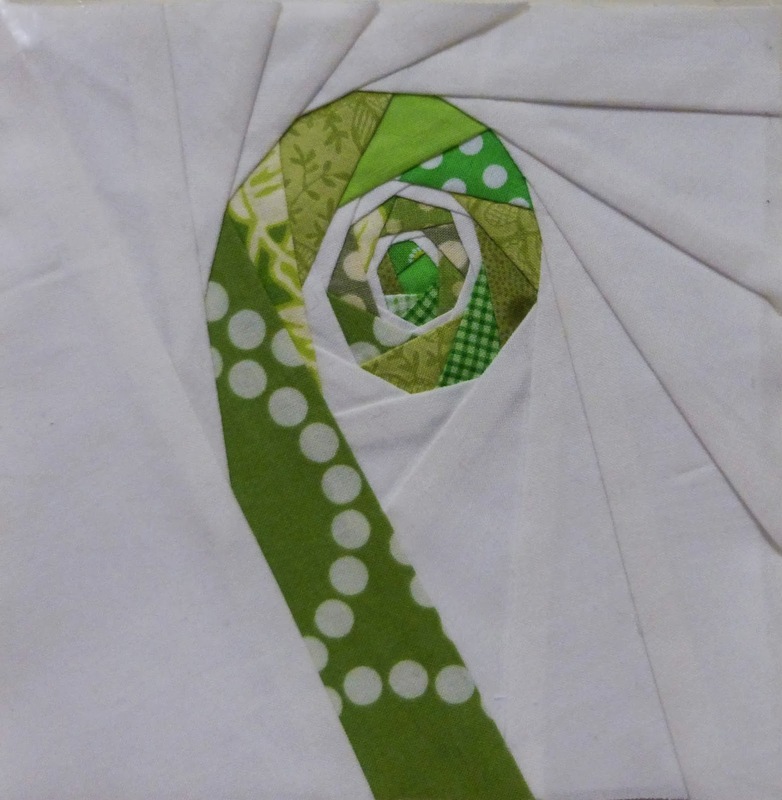 If you want to have a go at the Koru pattern, you can find it in my Craftsy Store. This pattern is and will always remain a free pattern. Have fun with it and don't forget to share your pictures in my Flickr group or on Instagram if you have a go at any of my patterns. It looks good doesn't it!?! What an interesting post Juliet. 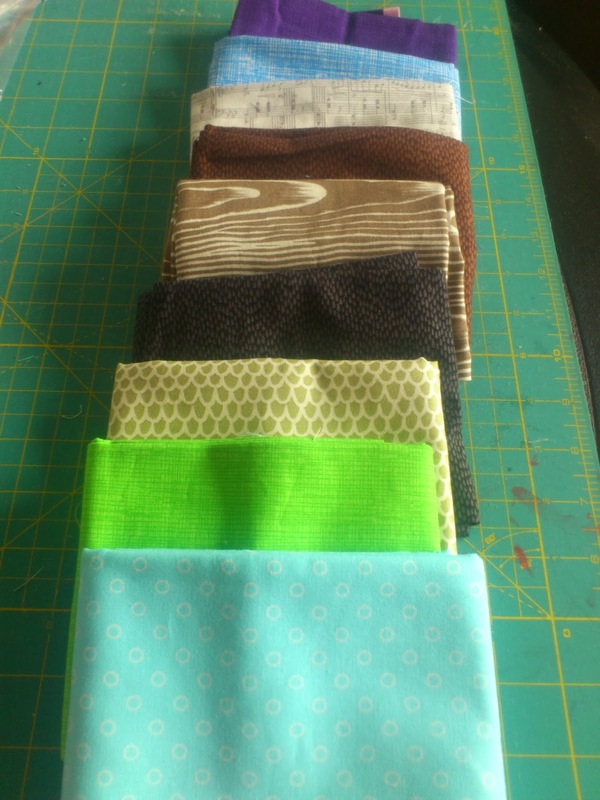 The process remains a happy mystery to me, but I can see how blender fabrics would become more important in your stash. I love that something really can be made into something wonderful with a bit of time and effort. Thank you for a really informative and interesting post. I think I will start looking at my fabric purchases differently now. Love all your patterns too. I'm with you! I keep teeny scraps - you just never know when they come in handy! I totally agree, I mostly looks for tone on tone, small prints or modern blenders. They work so well in small places. I love picking prints for paper piecing, even though sometimes they may be slightly unconventional, it's fascinating how the feel of a block changes with the fabric. Those scrappy Koru's are fantastic. I couldn't find a "free" Koru pattern on Craftsy.